For me, M&T was a pipe dream, an application I wrote on a whim. I never even entertained the thought of getting in – much less actually attending the program. The selectivity aside, I wasn’t completely sure of my interest in business. I state it now and I state it proudly – I’m an engineer by heart. Entering college knowing that I would be concentrating fully on both business and engineering was intimidating. The workload and the horror stories I heard about the program were intimidating! So when Ivy Day rolled around and I opened every school’s decisions page in tab after tab, I opened Penn last. When I read the decision, at first I didn’t even realize that I had been accepted – this was how ridiculous the idea of being in M&T was to me. Only after I reread the page did I fully comprehend it. Though I felt an overwhelming surge of pride and joy, the predominant feeling was one of conflict. How could I confidently choose M&T without being committed to studying business? How would I deal with the workload? What was the balance between engineering and business? And the overarching question: was it a good idea for someone more engineering-oriented to attend? I had so many questions, concerns, fears. Yet almost immediately, administrators and students in the program rushed to answer them and dispel my preconceptions – my first taste of the community that is the program’s greatest asset. Through their advice I came to understand the sheer breadth of opportunity M&T presented. Even if a large number of M&T’s went on to work in the business world, it was definitely not the only option. No matter where I’ll end up in the future, someone in the M&T alumni network will be there. And as their outreach efforts testified, I would never be able to appreciate the community of current M&T’s enough, both in and out of school. Lastly, how could I pass up an education in both one of the world’s best engineering programs and the world’s best business program simultaneously? That my arrival coincided with a Penn initiative into the area of research I was most interested in, nanotechnology (the tech of the future! ), was just icing. When May 1st came up, I accepted M&T with full belief in my choice and with confidence that I could chart my path after graduating, be it Wall Street, Silicon Valley, or the world of academia. Now that I’m into my second semester, I would be lying if I said I had no regrets. Leaving the California weather isn’t easy. Definitely yes, the workload is difficult. But overall, it was – is – the right choice. Bill is a member of the M&T Class of 2017, hailing from Arcadia, California. 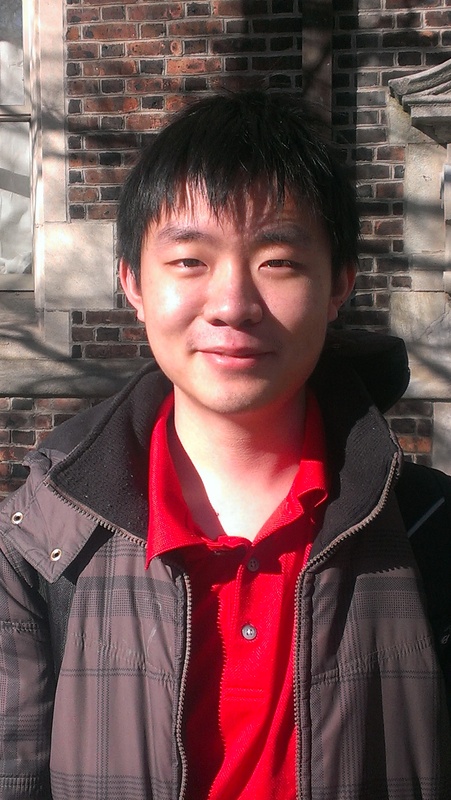 He studies Materials Science within Penn Engineering and has yet to declare his concentration in the Wharton School. That’s AWESOME! Seems like it is a great experience. I’m also applying to Penn’s M&T program. Could you possibly help me with my application/essays? I understand you’re probably extremely busy, but I would love some help! Also, do you know the difference in acceptance rate in applying solely to Wharton vs applying to M&T? Thank you so much for your help, I greatly appreciate it. Unfortunately, Bill does not see these comments as this blog is moderated by the M&T Program. To find out more about the M&T Program and to get in touch with someone, check out our website at http://www.upenn.edu/fisher/. Best of luck!